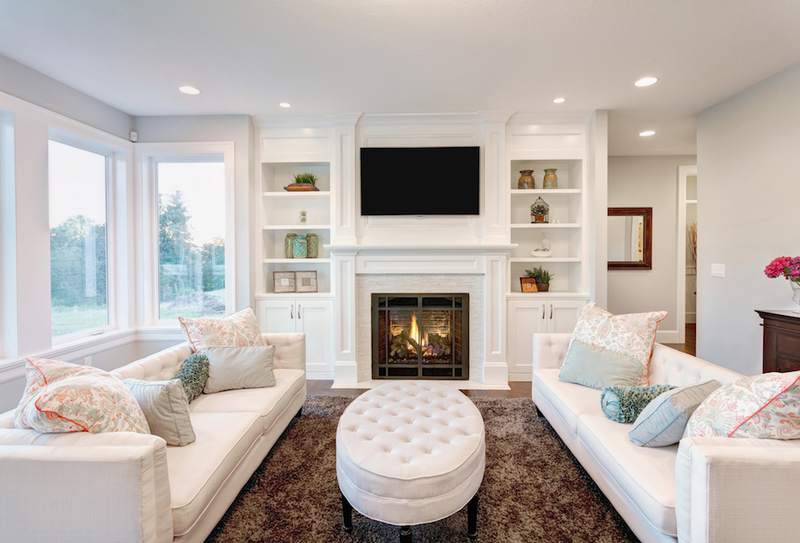 Cleaning a fireplace is usually one of the those items that is overlooked, even in a deep home cleaning. It is important to regularly clean the fireplace as the leftover build up from fires can become toxic and can potentially harm your family. Wait at least 24 hours since the last time the fireplace has been used. STEP ONE: Prep the area. Lay a plastic tarp around and in front of the fireplace area. If you do not have a plastic tarp, old towels will do. Also, make sure to wear an apron and protective gloves. You may also want to wear old clothes as soot and dirt can be difficult to get off. If you have furniture close by it may also be a good idea to place sheets or towels over the surfaces to protect it. STEP TWO: Remove debris. First take out any metal grates that may be in the fireplace. Next, take any wood, tinder or debri from the fireplace. We suggest wearing protective gloves to do this. Using a handheld broom sweep any dirt, debris or soot up and place it in a waste bin. STEP THREE: If necessary use a vacuum to pick up any remaining ash. Then throw away the debris into an outside bin. STEP ONE: Mix two tablespoons of cream of tartar with a little water to make a paste. STEP TWO: Spread the paste on the brick with an old toothbrush. Then wait for ten minutes to let the paste sit. STEP THREE: After ten minutes use warm water and a rag to wash off the paste. If necessary apply more past and repeat steps. STEP ONE: Make a thin paste that is easy to spread by mixing 3 tablespoons dish soap with a half cup of baking soda. You can add more dish soap if the paste is too thick. STEP TWO: Dip the scrub brush into the paste you have just made. Make circular motions on the brick surfaces inside and/or outside of the fireplace . When all brick surfaces of the fireplace are covered, let sit for five minutes. STEP THREE: After the paste has sat for five minutes, rinse the paste off with a cloth and warm water. STEP FOUR: Repeat from step one as needed. STEP ONE: Be sure the glass has already cooled and that the inside of the fireplace has been vacuumed and cleaned out. STEP TWO: Get one of the clothes damp with warm water. Spray some of the stove glass cleaner onto the damp cloth. STEP THREE: Next rub the cloth over the fireplace glass focusing on the stained areas. Once again, use circular motions as well as back and forth motions. You may need to apply some pressure to get hard stains to come off. STEP FOUR: Continue to apply more cleaner to the cloth and continue circular and back to forth motions until all stains have been removed. STEP FIVE: After all stains have been removed take a new damp cloth and wipe the surfaces clean. STEP SIX: Lastly, take your last clean cloth and dry the glass so that there are no streaks.